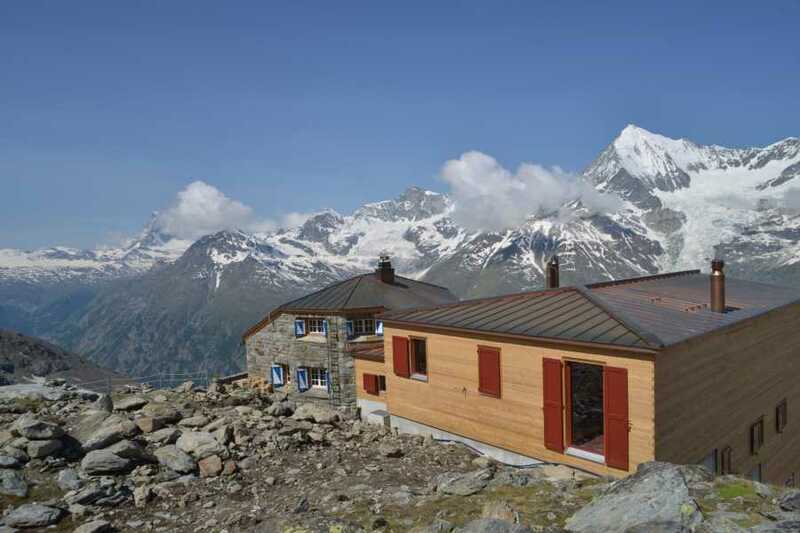 The Dom 4545m from the Dom hut - Saas-Fee Guides - The mountain guides of the Saas-Fee valley. 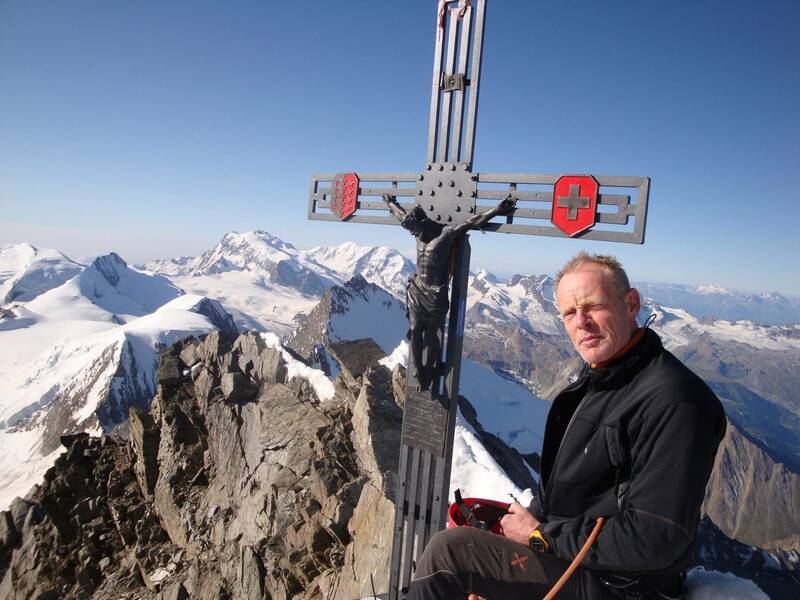 At 4545 meters the Dom is the highest peak entirely within Switzerland and the third highest in the Alps. 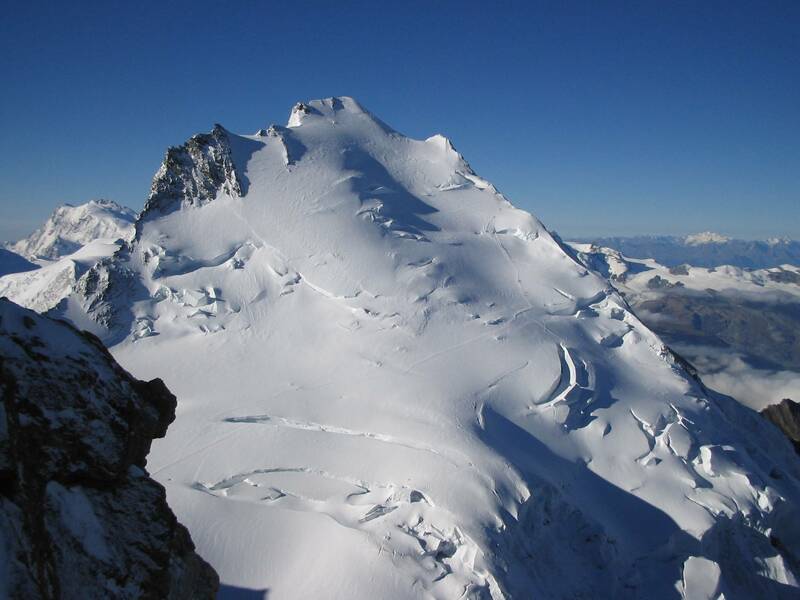 Summiting the highest peak in the imposing Mischabel group remains a goal for many an ambitious mountaineer. 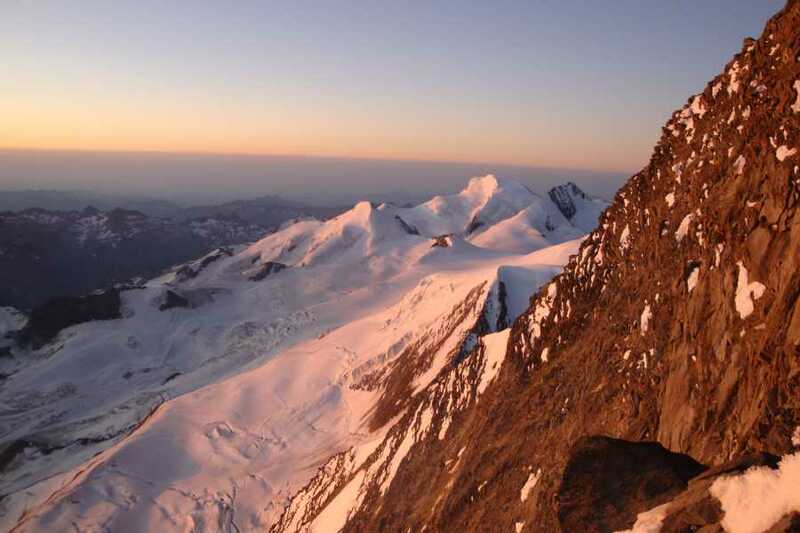 While less travelled than the other famed high peaks like the Mont Blanc and Dufourspitze the splendid feeling of being underway on one of the most beautiful snow peaks in the Alps with stunning panoramic scenery. Even though its technically not difficult, the elevation as well as the length of the trip are very demanding due to no cable car access. 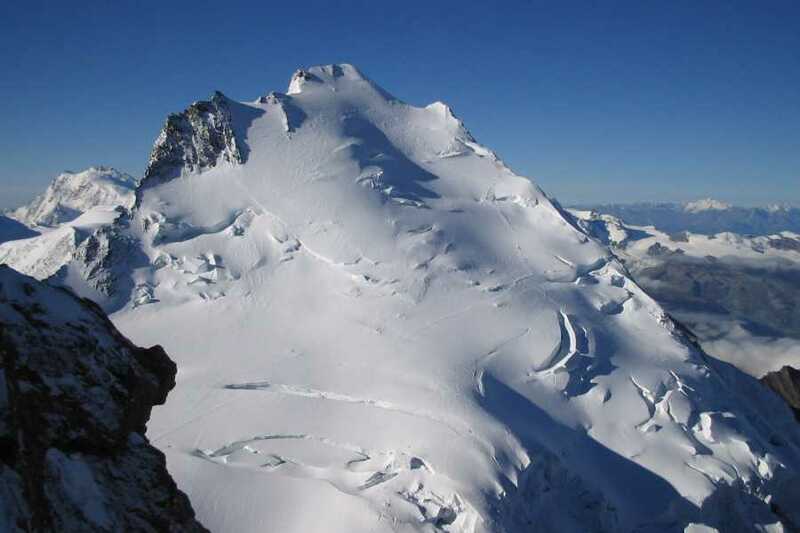 It is therefore advisable to prepare yourself accordingly and it is ideal to arrive 1-2 days prior to acclimatize. 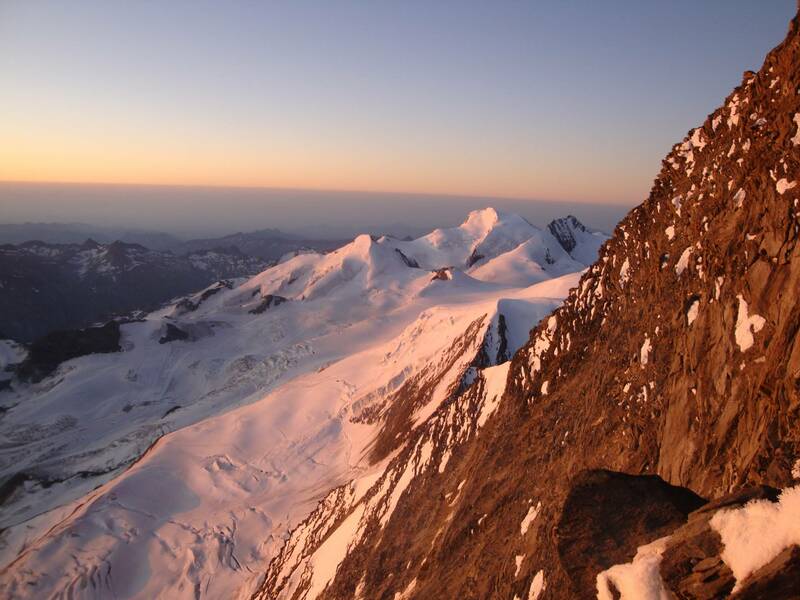 This climb requires a very early morning alpine start. From the Dom hut a trail continues along a moraine to the Festi Glacier. 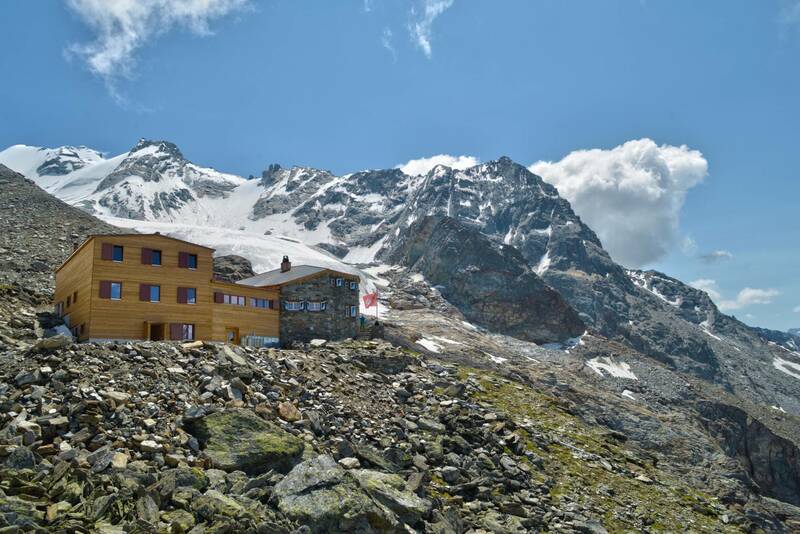 We ascend along the northern edge of the glacier and finally scramble up some easy rocks to the Festijoch and the Hohberg Glaciers. 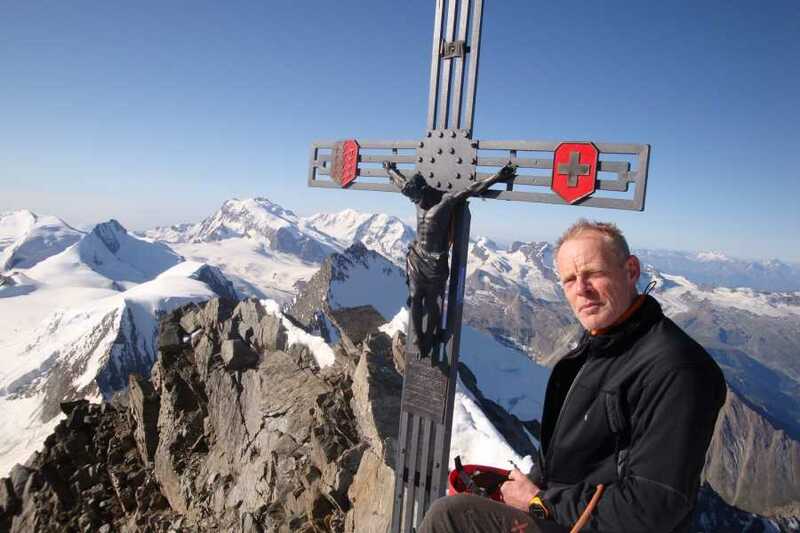 After an initially flat section, the steep route takes us to the saddle between the fore-summit and the main summit of the Dom before we reach the top. Up here, the world is at your feet and the 360 degree view is extraordinarily impressive. The descent is via the same route. ++ Snow tour of medium difficulty.